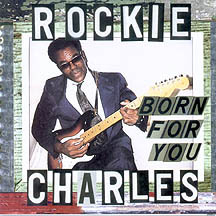 "Not since Al Green and Willie Mitchell's peak years at Hi Records has this brand of laid-back Southern soul been put on record.." - Review for "Born for You"
Rockie Charles' music career began in mid '50s, when the 13 year old moved to the Ninth Ward of New Orleans. 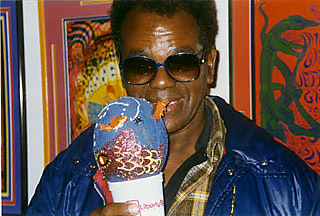 Charles cut his teeth with a neighborhood four-piece, the Eagles, and attended Houston's School of Music on North Claiborne. By 18, Charles was both a tugboat captain and leader of his own band, the Gauges, best known for providing the entertainment at Tulane frat parties. In '67, he cut his first single - "Mr. Rickasha" b/w "Sinking Like a Ship" - a local seller on Senator Jones' Black Patch label. Signed to a booking company out of Nashville, Rockie Charles soon found himself backing O.V. Wright, Percy Sledge, Otis Redding, and others on the road. Back in New Orleans, Charles started the Soulgate label, a home for his own singles including "The President of Soul" - a masterpiece of dance groove Otis-influenced deep southern soul- and the legendary "Show My People Around The Curve". Rockie Charles left showbiz for the next few decades, returning to his second career as a boat captain. He couldn't stay away forever, however - his classic comeback CD "Born For You" was released on Orleans Records in 1996.